The annual Wisdom 2.0 Conference addresses the great challenge of our age: to not only live connected to one another through technology, but to do so in ways that are beneficial to our own well-being, effective in our work, and useful to the world. Through series of conferences, meet-ups, and workshops, Wisdom 2.0 strives to bring this conversation to the world in an accessible, innovative, and inclusive way. The annual Wisdom 2.0 Conference is held in the Bay Area, bringing together over 2,500 people from 24 countries; it is now in its 10th year. This year a special panel will be held on the main stage: The Power of Love: The Road to Healing in Parkland, Florida. On February 14th, 2018 in the relatively quiet, picturesque suburban community of Parkland, Florida, an active shooter murdered 17 people. The nation watched from afar in horror while both the school community and community-at-large would continue to face the consequences of this trauma in a very real way. How does a community begin to heal after an atrocious act of terror is inflicted upon it? 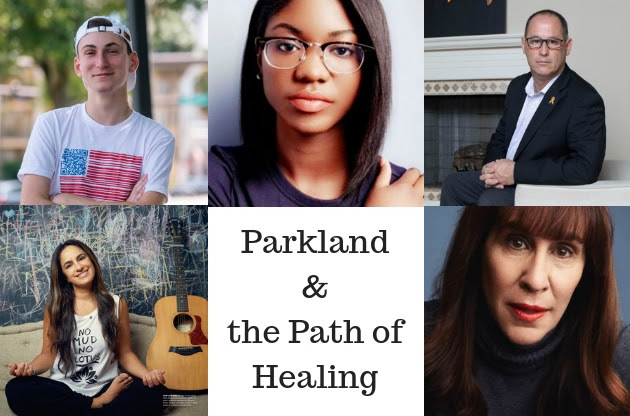 The discussion will focus on the road to healing, the realities of enduring trauma, the important work and movement that was a result of that day and the one thing that continues to bind the Parkland community – and all of humanity – together: love. Healing trauma is a focus this year, and the conference was inspired by the immense bravery of this group, including teenagers like Aalayah and Adam, to speak out. Tickets the conference can be purchased HERE.